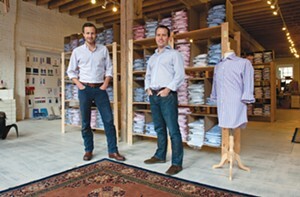 Co-owners Paul Trible and Paul Watson, in their Shockoe Slip store. 1. When starting out, only hire people with your same name to appear massively productive (our first three employees were named Paul). 2. Commit yourself fully. You'll be amazed by motivating power of passion and fear. 3. Be decisive. More often than not, it's indecision (not the wrong decision) that kills a business. 4. Be just as prepared for things going well, as going poorly. 5. Dress for success. You can never have too many shirts (shameless, we know).